In the age of smartphones, blogs and social media, there is an endless supply of fashion inspiration at your fingertips. And although we’re all fans of fashion blogs, and online-only fashion magazines, there is just something so refreshing about flipping through the pages of an old-school magazine, with full-color fashion spreads that tell timeless stories. Of course, Vogue, Harper’s and ELLE are magazine royalty, but there are a few lesser-known fashion publications that deserve some attention for their unique takes on style inspiration. No matter your personal style, there is always something inspiring to be found in one of these CF faves. First published a little over a decade ago, Nylon Magazine is a pop culture and fashion magazine with a hipster edge. With cover girls like Emma Stone, Kate Bosworth and Zooey Deschanel, Nylon has positioned itself as the end-all-be-all for trendy fashionistas who are more inspired by the street than the runways. Wanna learn more about Nylon? Check out Nylon Blogs and their past issues to get a feel for what they’re all about! Like Nylon, Paper Magazine is aimed at fashionistas who don’t dress themselves purely based on the looks they’ve seen in Vogue. Paper’s readers are looking for inspiration from pop culture trends, and street and city style. This season, the publication has featured everything from a profile on the girls behind Rodarte, to a feature on the author of the cult-classic novel Weetzie Bat and her style, to a style mash-up of The-Cobrasnake.com team and Tommy Hilfiger. 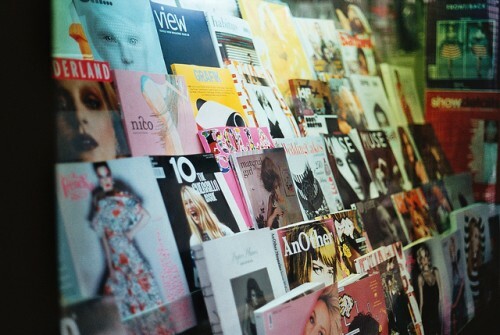 If you’re constantly looking to unexpected sources for fashion inspiration, Paper is a must-read. Although it’s not specifically aimed at our demographic, V Magazine is THE source for high-end, boundary pushing, edgy fashion editorials. If you always flip to the editorial section of any glossy first, V is definitely the magazine for you. In the past, V has featured fashion shoots styled by legends such as Rachel Zoe, Karl Lagerfeld, and Hedi Slimane, photography by Mario Testino, Inez van Lamsweerde and Vinoodh Matadin, and interviews with everyone from Beyonce to Grace Jones and even David Bowie. They also caused a stir when they did a plus-sized fashion feature last year. 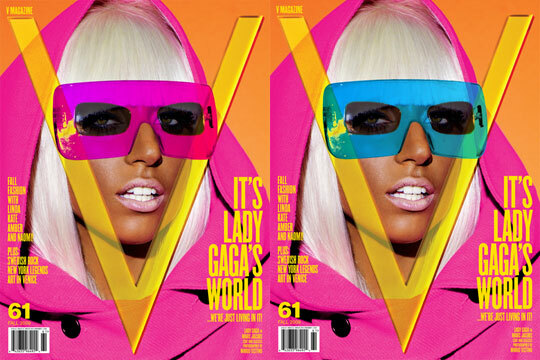 Recently, the mag announced that Lady Gaga would be its newest fashion columnist. You can check out her thoughts on style on V’s website and look forward to her articles in the seasons to come. At almost 200 full-color, full screen pages, it’s hard not to be completely immersed in the gorgeous online publication that is Matchbook Magazine. After launching earlier this year, Matchbook has become my go-to source for inspiration on every aspect of life – whether it’s decorating an apartment, dressing for work, or packing for a weekend getaway. If the aforementioned magazines are a little too hip for your Hepburn style, Matchbook is right up your alley. Full of quintessential sophisticate style, with fashion spreads ranging from South Carolina nautical to classic New England prep, Matchbook is hard not to fall in love with. Intrigued? Be sure to check out the creators’ description of The Matchbook Girl and add their Tumblr to your RSS reader of choice. We all know that fashion inspiration is all around us – from the cities we live in, to the people we interact with, to the art we come across in everyday life. While it is unlikely that the likes of Vogue and Harper’s Bazaar will ever become outdated, these select few magazines offer fresh, creative inspiration that the ‘magazine royal family’ doesn’t. What do you think of the above publications? Do you already read any of them? Are there any magazines that you look to for fresh fashion inspiration? Be sure to leave a comment!